Putting on a BYU football uniform feels special for Micah Hannemann beyond the reasons you might expect to hear from a college athlete. It isn’t just a chance for the senior safety to represent his school. 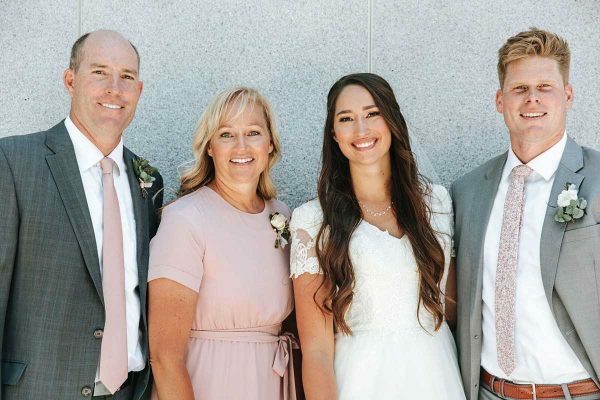 For the lifelong Utah County resident, it also gives him a chance to represent his family, his community and his faith. 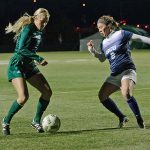 “There’s a lot more talent than people give credit for in Utah County players,” Hannemann said. 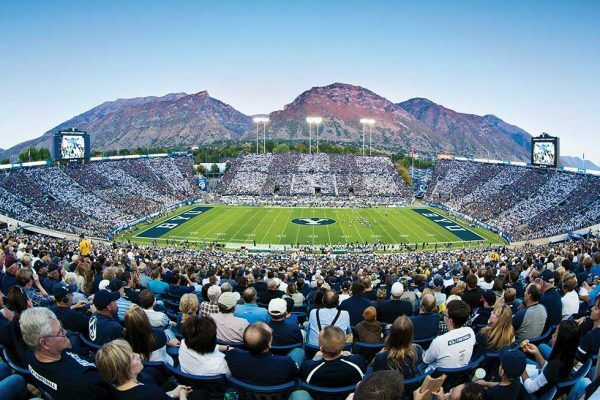 Being the flagship university for The Church of Jesus Christ of Latter-day Saints makes it possible for BYU to cast a net nationwide when recruiting athletes. 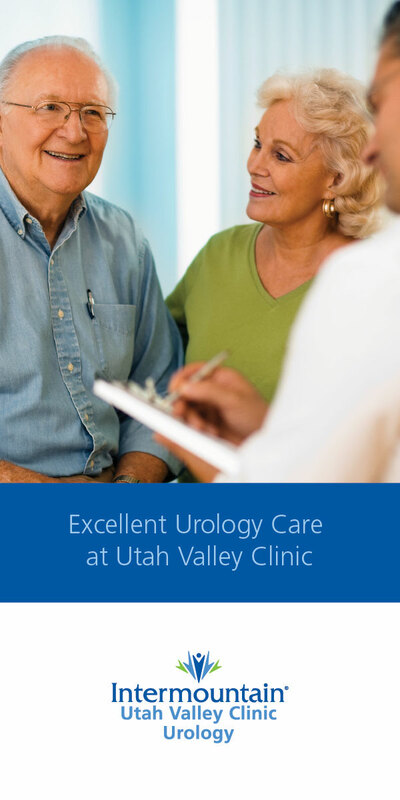 Still, that doesn’t mean the Cougars focus all of their efforts outside of Utah’s borders. 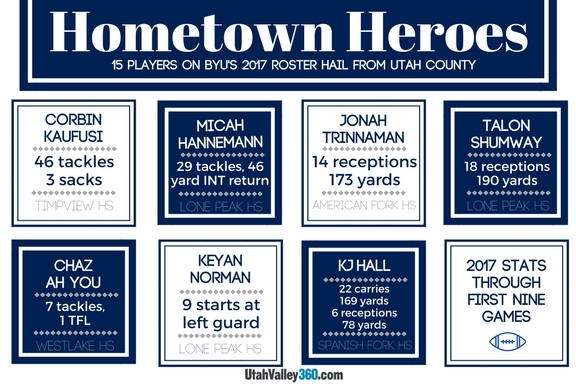 BYU harvested several key contributors in football right from its own backyard. Fifteen players on the 2017 roster grew up in Utah County or attended high school there. Several of those players have shined for the Cougars in an otherwise dark season. Long before he became a standout wide receiver at American Fork, Jonah Trinnaman aspired to be a great running back. His dream took root in time spent on Saturdays watching former BYU running back Curtis Brown. Trinnaman never missed a chance to watch Brown and soak in everything he could learn from observing him in action. He loved Brown’s running style and his ability to take over games in the backfield. At one point, Trinnaman wanted to emulate his idol by actually changing his name to Curtis Brown. It stuck in Trinnaman’s mind a few years later while he considered his options as a highly sought recruit out of Snow College. Ultimately, it came down to Utah and BYU. He followed his heart and it led him to Provo. Midway through his second season, the senior has totaled 494 yards and a touchdown on 42 catches. The itch to be a runner hasn’t totally gone away for Trinnaman. He still relishes the chance to break free on a kickoff and turn on the jets. Corbin Kaufusi shared a similar dream of becoming a BYU football star, although it was a bit delayed. 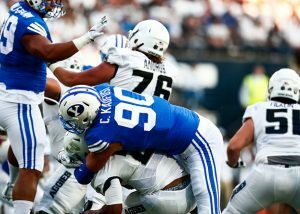 Kaufusi didn’t play tackle football for the first time until the 8th grade. 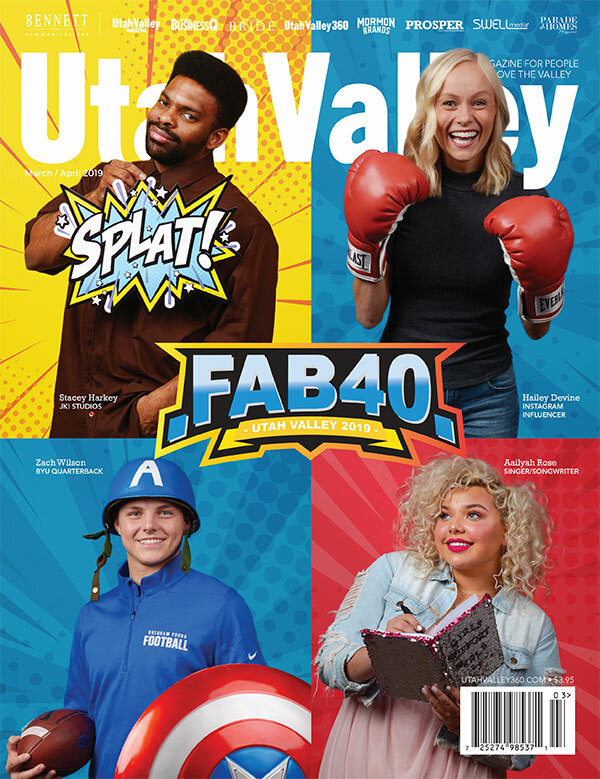 BYU linebackers coach Steve Kaufusi — his father — made it a family policy to limit participation in football until the teenage years, because he felt concerned about them enduring serious injuries at a young age. That meant Kaufusi tried his hand at other sports, like basketball and soccer, before diving into football. For a time, it looked like he would pursue an alternate sports path. After undergoing a growth spurt on his LDS mission, Corbin Kaufusi decided to try his hand at basketball and played for BYU in that sport over three seasons. During that time, he appeared in 86 games and posted career averages of 3.8 points, 3.6 rebounds and 0.9 blocks in 14.2 minutes per game. Corbin Kaufusi’s focus shifted back to football a year ago and he hasn’t looked in the rearview mirror since that time. He has been a rock on the defensive line this season, totaling 46 tackles and three sacks through eight games. Making this kind of impact for his hometown team makes it feel even better. This season is a nightmare scenario for the Cougars in every conceivable way. 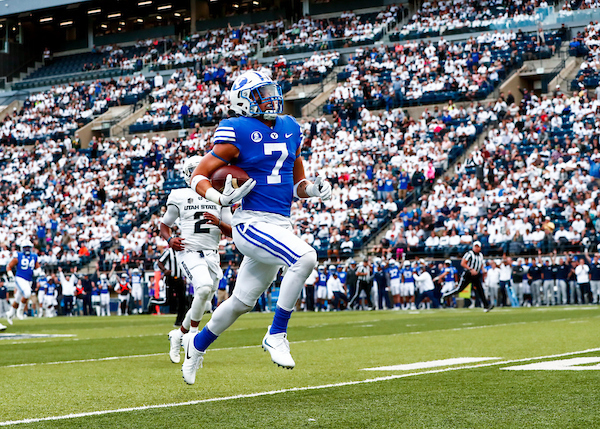 BYU lost seven straight games before beating San Jose State 41–20 on Saturday — representing the team’s longest skid since 1968. The Cougars rank 125th out of 130 FBS teams in scoring offense (15.3 points per game), 126th in total offense (301.8 yards per game) and 128th in first downs (14.1 per game). Highlights are few in number for BYU. Enduring such a rough season has opened unexpected avenues for growth for each of the Cougars’ hometown stars. Hannemann entered his senior season with career totals of 74 tackles, 12 pass breakups and three interceptions. He’s continued to post steady numbers in the defensive backfield this season, totaling 29 tackles and a pick-six. But it has been tough for everyone to maintain a positive attitude amid BYU’s struggles. For Hannemann, this season has become an exercise in learning how to deal with adversity. Still, Hannemann wouldn’t change his decision to come to Provo for anything. 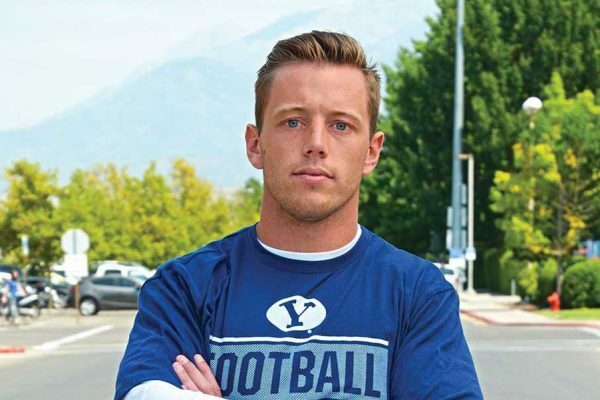 During his time before and after his LDS mission, the senior safety has made strides on the football field, in the classroom and in his own spirituality. He loves getting out there on the field and hitting people. But he also relishes the opportunity playing at BYU has given him to grow physically, mentally and spiritually. The lessons are similar for his teammates. 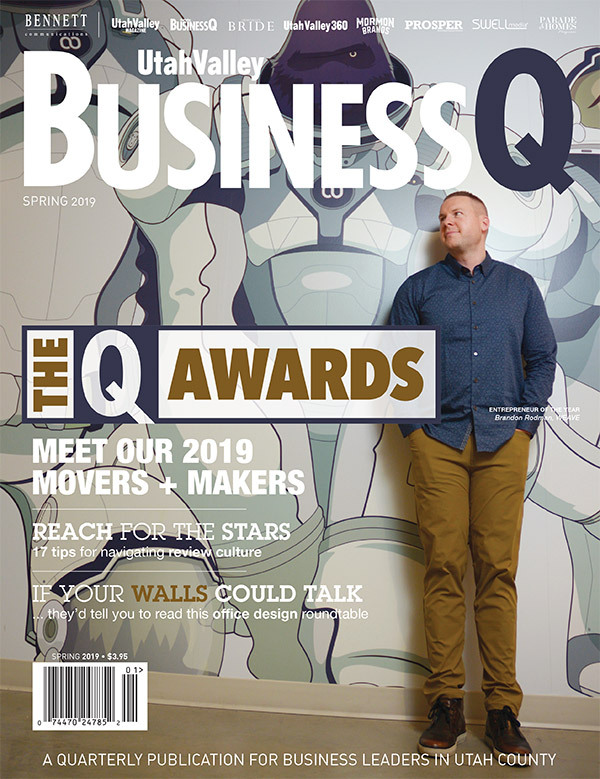 Trinnaman said he has learned to keep “swinging the ax” as he puts it and adopt a positive outlook and a good attitude even when things are at their worst. Corbin Kaufusi said this season has taught him the value of strong character and leadership.